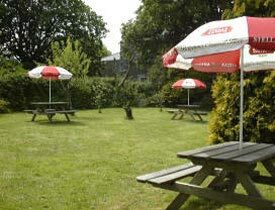 The Lanner Inn is a traditional, family run village pub, enjoying a central position, perfect for exploring coastal and inland West Cornwall. Walkers will find the Great Flat Lode of interest, whilst those who enjoy horse riding will be able to visit nearby stables. We also have excellent accommodation here, very near Redruth and Camborne. We are also within easy traveling distance of all the major attractions, Flambards, Lands End, St. Ives, The Eden Project etc. Lanner is ideally situated for all parts of Central and Western Cornwall, being only a short distance from Falmouth, Redruth and the City of Truro, and handy for Penzance, St. Ives and Newquay. 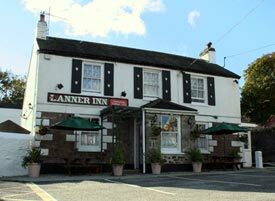 There is plenty of opportunities for the walker or cyclist when using the Lanner Inn as a base, with access to the Great Flat Lode Trail, only a few hundred yards from the door. There are also quality horse riding stables nearby, and multiple choices of beaches, all within a short drive. Lanner is also central to most of the major Cornish tourist attractions, such as the amazing Eden Project, Flambards, Poldark Mine, Shire Horse and Cornish Gold Centres, and not forgetting the many and varied heritage centres and gardens, such as Trebah and the Lost Gardens of Heligan.